By the 20th century, most royal households in India were more modern in their culture and living than most Indians. The women of the palaces were patrons and connoisseurs of the finest arts and made for the perfect hostess for influential guests at the Palace — from the President of the United States of America to the Queen of England. 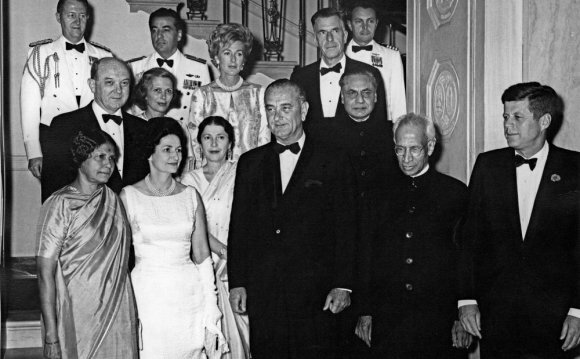 We bring to you, the Indian Maharanis who define Indian royalty. 1. One such pioneering lady was Sultan Kaikhusrau Jahanshe made primary education free and compulsory back in 1918. The only female-chancellor of Aligarh Muslim University, Kaikhusrau Jahan often donned embellished purdahs when stepping out of the palace. She was not the most beautiful or the most social, but she was loved by the people and heavily awarded by the British for her reforms in education, army, taxation, health, and almost every field of public service. 2. Maharani Chimnabai of Baroda was beautiful and educated. She championed the cause of women in India. Her husband, Maharaja Sayaji Rao III was a ruler well-ahead of his time and encouraged his wife to play an active role in public life. She went on to become the President of All India Women’s Conference. Her grandaughter Ayesha became the Maharani of Jaipur Gayatri Devi. 3. Maharani Bibiji Bakhtavar Kaur Sahiba of Patiala was the official Queen consort of the last Maharaj of Patiala, who had 10 wives and many concubines. While the Maharaja was notorious for his indulgent and luxuriant lifestyle, the Maharani was the leader of the Ladies of India. She presented Queen Mary with the famous Delhi Durbar tiara in 1911, to mark her visit, and was the driving force behind the Ladies’ social and political life. 4. Maharani Suniti Devi of Cooch Behar, a district in Bengal, was the daughter of a Bhramo Samajh founding leader K.C. Sen. She became the first Indian woman to be awarded Order of the British Indian Empire, and was noted for her forward and elegant style of dressing. Suniti Devi was the patron of various schools and often used her personal resources to forward the cause of women empowerment. 5. One of India’s most famous Maharanis, who came to symbolise all of royalty in India, is Rajamata Gayatri Devi of Jaipur. She was born in 1919 in London, as Princess Ayesha of Cooch Behar. She married Sawai Man Singh II, Maharaja of Jaipur, in 1940. Gayatri Devi was amongst Vogue’s 10 most beautiful women in the world and was the most photographed lady of her time. She was famous for her pioneering efforts in lifting the purdah off of the women in all of Rajputana and for her support against the abolishment of the Privy Purses. She was jailed in 1975 due to political vendetta, but came out of the jail a new and stronger leader. 6. Rajamata Vijayeraje Scindia of Gwalior did not belong a royal lineage. She was raised with her grandparents of the influential Rana family of Nepal who lived in political exile in India. The marriage of a commoner to the Maharaj of Gwalior forms an intriguing tale. In the Palace of Gwalior, her modern ways were often met with resistance from the elders, and her relationship with her four children were often in news for the wrong reasons. However, she will always be remembered for her poise, dignity, forward thinking, and political strong-will. Veilankanni is a Catholic pilgrimage in Tamil Nadu, India. It is one of the famous pligrim center in southern India.